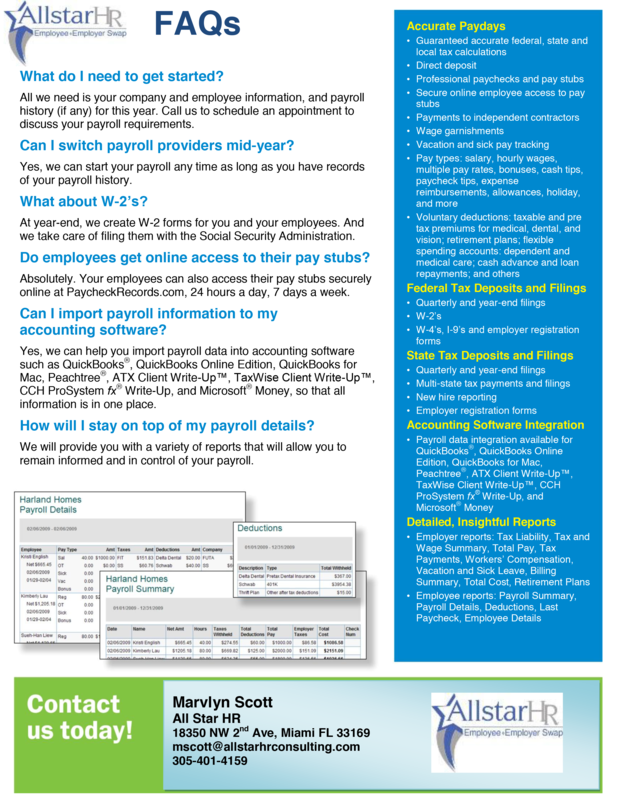 Implementation of Payroll – Choosing and setting up a system that fits company’s needs. 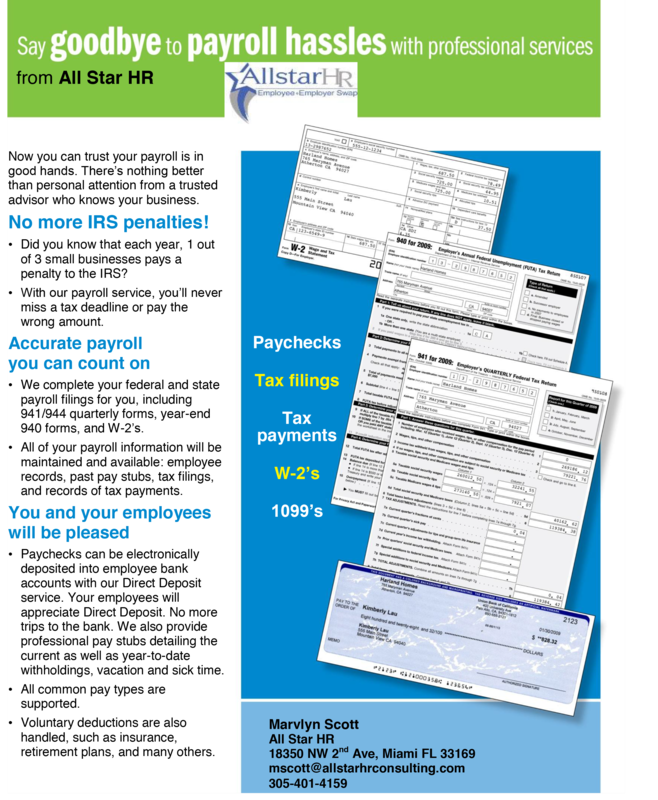 The enclosed brochure will give you a better idea of how we can end your payroll hassles. If you have any questions, or would like to schedule an appointment to discuss your payroll requirements, please call us at 305-401-4159. We are committed to providing you with the best level of service.